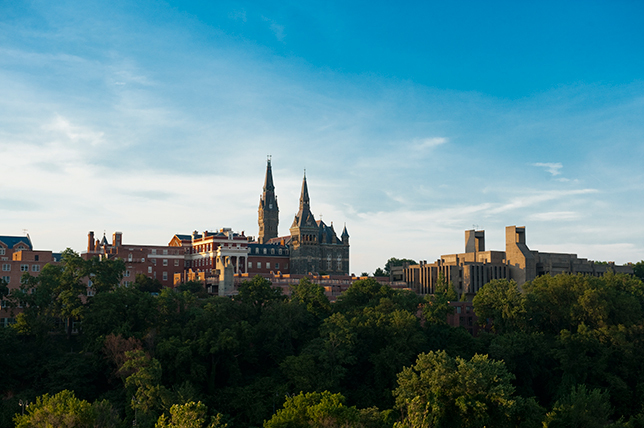 Georgetown University's enterprise-wide constituent relationship management system provides a holistic view of students, faculty and alumni, enables proactive advising and promotes lifelong, meaningful interactions with the institution. In 2012, Georgetown University found itself in need of a plan to replace its decades-old, on-premise advancement system. Institutional leadership took that opportunity to envision something much bigger: the creation of a new, cloud-based, integrated CRM system that could grow to replace legacy systems supporting decision-making for all constituents, university-wide. The system, dubbed Georgetown 360, would offer an enterprise 360-degree holistic view of data for faculty, students, advisers and administrators, and eventually other staff, alumni, applicants and more. Central to the project is the notion of cura personalis, or "care for the whole person." which is a core value at the Jesuit institution. It also aligns well with the goals of a CRM system to personalize the user experience, enable communication and engagement, and ideally provide a permanent sense of "home." As Vice President for Information Technology and CIO Judd Nicholson, an executive sponsor of the GU360 project, noted, "GU360 will enable meaningful lifelong engagement for all of our students and alumni, not only with each other but with faculty, advisers and staff — in short, with anyone they encounter at Georgetown while on campus and long after they graduate." Although work didn't begin until April 2016 on a Salesforce enterprise CRM implementation, the system became operational quickly, in stages over the 2017/2018 academic year. As a part of the project, the advancement system upgrade was also accomplished with compatible software, Afinnaquest. 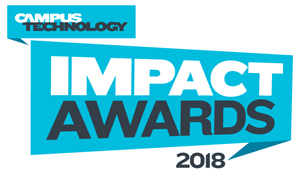 Other technologies involved: Appirio for the core data architecture, platform implementation, integrations support and community builds; MuleSoft, providing enterprise service bus and data orchestration capability for integrations between core enterprise systems and Salesforce; Conga for additional reporting capabilities; DocuSign for forms, agreements and workflows; Emma for mass e-mailing; ForceAmp's dbAmp for data migration; and Wealth Engine for prospect research to support advancement. An agile project management methodology engaged committees and project teams throughout the campus — from administrative services, to academic units, to IT — and set the stage for ongoing development and improvement into the future. The development teams focused purposefully on creating an interface that provides users with an experience that rivals Salesforce in corporate settings. Now, GU360 provides a one-stop shop for students and faculty to perform their daily Georgetown activities. Students can maintain their own personal information and profile, view a consolidated schedule, access their advisers and find resources across various Georgetown websites, all in one place. Faculty and advising deans can access holistic and integrated electronic student files, and communicate with students by providing a "task list" of to-do items and critical events. And faculty can view their class and advising rosters and communicate directly with students or their advisers, without having to log in to the student information system. The system also allows faculty to manage their public intellectual presence, which helps facilitate review of book or grant proposals. The advancement office has benefitted as well, with streamlined gift processing and up-to-the-minute reporting. A key goal was to gain the attention and appreciation of students. One student commented on her confidence in GU360: "I was blown away by how modern GU360 looks. I've never seen anything like this at Georgetown before. It looks like it works — when you log in to something that looks old, you expect it to be broken or to have bad data. Not the case here: It looks good." 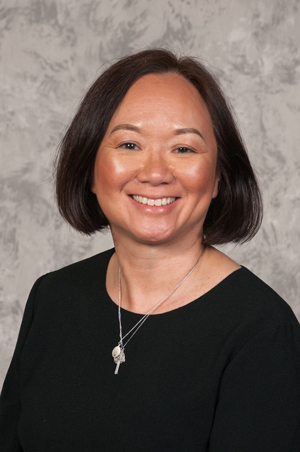 Associate Vice President for Administrative Applications Linda Buckley, a core team member and sponsor of GU360 commented, "Just as they do at home, our students here expect modern, consumer grade technologies and data information systems. We knew that we needed to create an up-to-date, personalized experience for each constituent that would authentically represent their time on the hilltop and their ongoing interactions with us." Nicholson stressed that a high-quality student experience reflects the quality of the CRM system for all: "The students' experience can only be excellent if the teams that support them within the university are also having an excellent experience," he pointed out. "Every hour spent struggling with a spreadsheet, report or old technology is an hour not spent with a student, faculty member, parent, alumnus, applicant or donor." So, a distinguishing feature of GU360 development practice has been the high level of involvement of the business offices, faculty and advisers. During the ambitious project development year, the Georgetown team identified an important challenge in trying to integrate Salesforce with legacy systems of record: Systems of record are not typically designed to give a 360-degree view, though they do tend to use data in very specific ways. For example, GU360 leverages its identity management (IDM) system to provision accounts and update bio-demographic data. However, IDM was originally created to provision e-mail and populate the directory. It was missing key elements of data needed for the 360-degree view. As a result, the development team had to adjust its plan to run all integrations through its identity management system. It had to build some direct integrations with the legacy systems. GU360 is now fully integrated with the SIS and other systems of record. It is capable of delivering timely information and responding securely to user needs. This best-in-class implementation sets a new standard of comprehensiveness for CRM in higher education.